Attractive, High-Quality Floor Spinners, Countertop Displays and Wall Racks to Display Your Greeting Cards and Other Print Media. 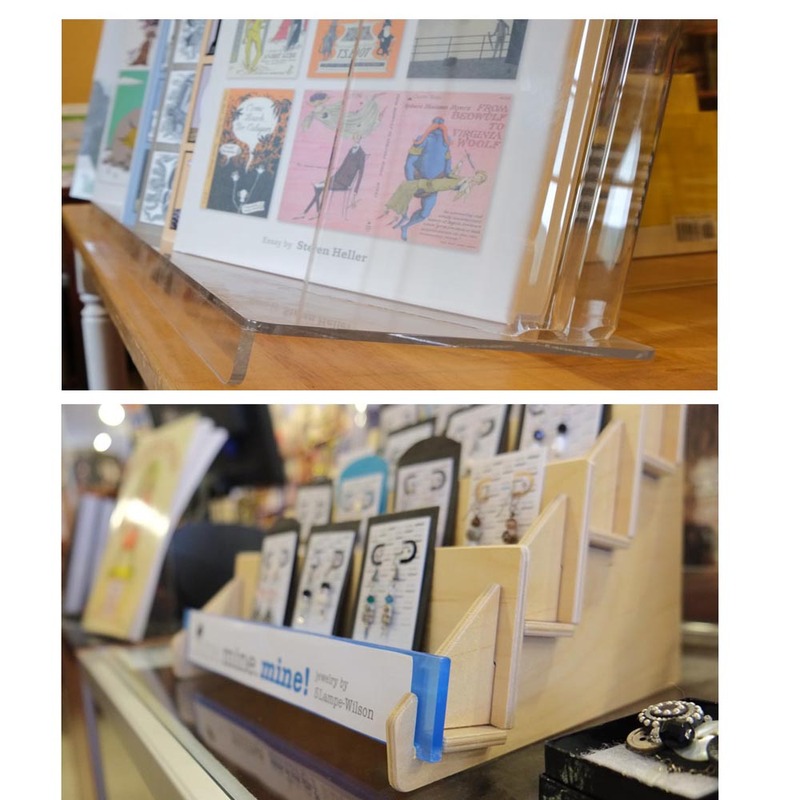 Clear Solutions manufactures and sells a wide variety of greeting card holders, from floor spinners and countertop card holders to tiered racks and card shelves for counters, wall and slatwall. Designed and produced in the US, most card displays are in stock for immediate shipping. Available in rugged clear acrylic or sustainable birch plywood modules. Put your greeting card selection on the check-out counter or in the aisle to get the attention of impulse buyers and last minute gift shoppers. With countertop card stands, cascading shelves and spinner pockets, potential buyers are reminded of holidays, birthdays, weddings, anniversaries, new babies, or other upcoming events. A countertop greeting card display is the final step in that gift shopping adventure.